The Materials Research Society gathers in Boston for their fall meeting later this month, expecting to host approximately 6,000 people at the Hynes Convention Center and adjacent Sheraton Boston Hotel for a cross-discipline examination of the field. ACS Publications is especially excited to be a part of Fall MRS this year, sharing news of our expanding applied materials portfolio and welcoming new Deputy Editors Professor Jodie Lutkenhaus (Texas A&M University) and Professor Hyun Jae Kim (Yonsei University) to the fold. The meeting will be a great opportunity for scientists to learn more about ACS’s materials portfolio, including the newly launched specialty journals ACS Applied Bio Materials, ACS Applied Electronic Materials, and ACS Applied Polymer Materials. We will be at Booth #125 all week and hope you’ll drop by to say hello. Stop by #125 to take part in our #ACSLEGO prize draw! Pick up your LEGO(TM) Scientist keychain at the booth, and be sure to share photos of where your LEGO(TM) scientist travels to, for your chance to win a personalized LEGO figure. 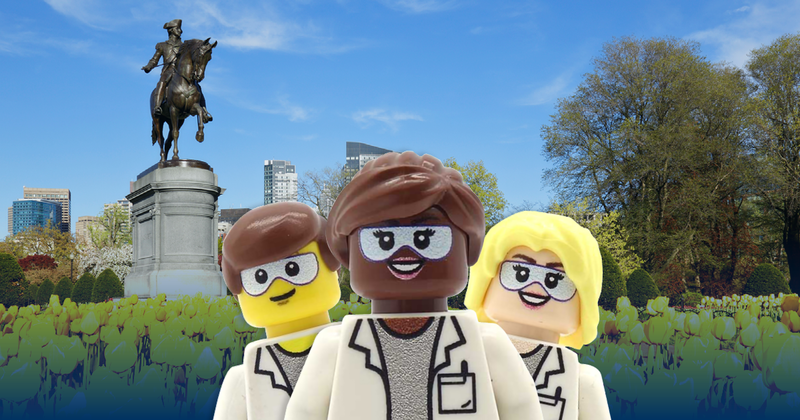 Whether it’s enjoying a talk at the convention center, or exploring Boston, share pictures on Twitter, Facebook or Instagram using the hashtag #ACSLEGO – and be sure to follow @ACSPublications to keep up with all the fun. ACS Nano Associate Editor Professor Paula T. Hammond (MIT) will be delivering this year’s Plenary Session: Charge Is on Our Side—Using Electrostatic Interplay with Cells and Tissues to Deliver Drugs, on Monday, November 26, 6:30 p.m., at the Sheraton, 2nd Floor, Grand Ballroom. Join us on Wednesday 28 for the ACS Publications Reception; your chance to network with ACS editors, discuss your research and learn more about publishing. Sheraton Boston Hotel, Back Bay A, 2nd Floor, Wednesday, November 28, 6:30 pm – 8:30 pm. 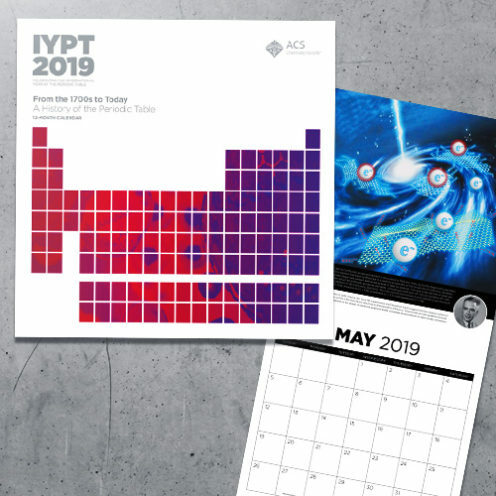 We’ll also be giving away limited edition 2019 International Year of the Periodic Table (IYPT) Calendar.